I know I usually post “Educational Links” on Friday but I could not resist sharing this cool find. World Centric has a new Compostable Toothbrush!! All but the bristles can be composted in a commercial composter (you break the bristles off at the notch). If you do not have access to a commercial composter (you need the heat that these composters provide to break down the toothbrushes), you can mail back your toothbrushes to be composted by the company! How cool is that?? The price point is a bit higher than your average toothbrush but knowing that your toothbrushes will not be going into a landfill is pretty cool 🙂 Unfortunately there are no child toothbrushes at the moment. 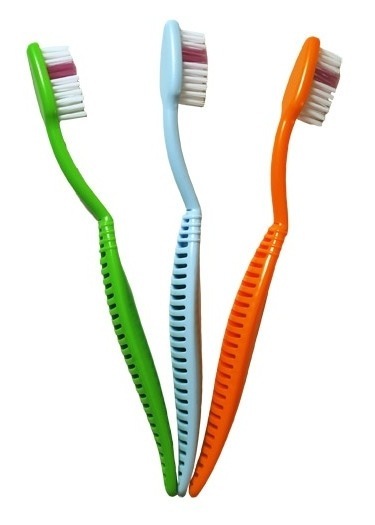 Shipping is free over $75, so I might have to see if anyone in the family or my friends are interested in ordering ($11.40 for three toothbrushes, featured above) 🙂 I am also looking at the straws, we have metal straws for the kids but it is always nice to have some disposable on hand, and straws that can go in the compost…even better! !